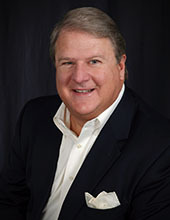 William E. Holloway is responsible for client satisfaction and executive project supervision through all phases of design including land planning, preparation of construction documents and construction administration, and post construction services. Bill has a special area of expertise in the design of Healthcare, Senior Living, Higher Education, and Civic & Cultural projects. He is the firm’s Principal-in-Charge of all design projects for State of Delaware. Bill’s 34 years of design and management experience on complex public and institutional projects provides a unique level of leadership on behalf of our clients.